Travelers to Canada of legal drinking age can bring a small amount of alcohol for personal consumption into the country with them free of duty and taxes. Regulations allow either 1.5 liters of wine (the equivalent of two standard 750-milliliter bottles) or 1.14 liters of liquor (up to 40 ounces), or 8.5 liters of beer or ale (the amount of 24 12-ounce cans or bottles). 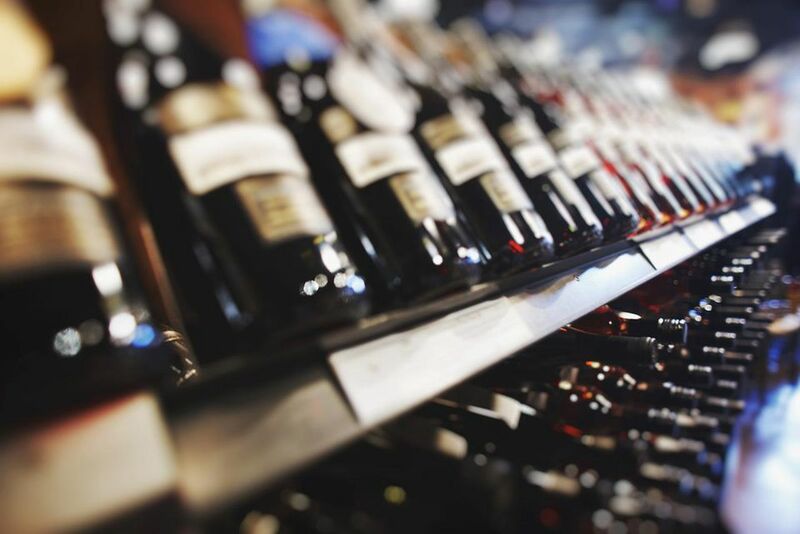 The government defines alcoholic beverages as products exceeding .5 percent alcohol by volume, and they must be commercially packaged to qualify for the border-crossing exemption. It doesn't matter how long you plan to stay in Canada or whether you arrive by boat, car, or airplane: the limit on duty- and tax-free alcohol you can bring into the country remains the same. If you exceed this amount, you must pay both a customs assessment and any applicable provincial/territorial taxes on the total value in Canadian dollars of the full volume of booze, not just the amount in excess of the allowable exemption. You cannot bring alcohol in as a gift. Additionally, you cannot be in Canada for at least 48 hours before you claim the personal exemption for alcohol. This means if you leave Canada in the morning to go shopping in the United States, you cannot return that evening, or even the next day, with booze. You must be 18 years of age to bring alcohol into Alberta, Manitoba, or Quebec, and 19 years of age for all other provinces and territories. However, to purchase beer, wine, or spirits at the American duty-free shops on the border before you enter Canada, you must be 21 years of age to meet the legal drinking age in the United States. When traveling from the U.S. to Canada by air, keep in mind that TSA regulations restrict liquids in your carry-on baggage to 3.4 ounce or smaller containers. Additionally, TSA regulations prohibit the transport of any liquor with 70 percent or greater alcohol by volume (140 proof) because of the fire hazard, meaning leave the bottle of Everclear at home. Even the more commonly seen Bacardi 151 rum surpasses the safe zone. Stowing alcoholic beverages in your luggage can push it over the weight limit, potentially incurring additional fees and quickly negating any savings from bringing your own drinks with you. Alcoholic beverages typically cost more in Canada than in the U.S. Some provinces sell the heavily taxed and regulated products only in government-owned and -operated stores, and the monopoly keeps prices high. But even at private retailers, they usually top those found in the U.S. Some provincial and territorial governments also regulate the minimum price of alcoholic drinks in restaurants and bars. A case of 24 cans or bottles of beer generally costs about twice what you would pay in the United States, and a bottle of Canadian Club whiskey might cost up to 133 percent more, even in the Ontario town where it's distilled.